A Queens-based operator of residential nursing homes and adult care facilities will pay a total of $2,006,796 in back wages and liquidated damages to 844 underpaid employees at five locations in eastern New York following a federal investigation of alleged overtime violations of the Fair Labor Standards Act. An investigation by the U.S. Department of Labor’s Wage and Hour Division found that The Grand Healthcare System failed to pay employees required overtime and for all hours worked at the company’s facilities in Chittenango, Guilderland, Pawling, Queens and Rome between 2013 and 2016. Specifically, the nursing home: • Misapplied the FLSA’s executive and administrative exemptions to non-exempt employees and consequently failed to pay them overtime. • Paid employees only for scheduled hours rather than the number of hours they actually worked. • Failed to pay employees when they worked through meal breaks. • Docked employees for short rest breaks. • Failed to include shift differentials in workers’ regular rates of pay when determining overtime rates. • Failed to maintain accurate time and payroll records. Previous investigations by the division of the company’s Pawling and Rome locations conducted between 2005 and 2013 uncovered similar violations which resulted in the company paying nearly $130,000 in back wages to 146 employees and $20,460 in civil money penalties. “There was no excuse for this company’s continued disregard for federal law and for the rights of its workforce,” said Mark Watson, administrator for the Department of Labor. “As the sizable penalty assessed in this case demonstrates, we will continue to use every enforcement tool at our disposal to incentivize employers to comply with the law. The sorts of violations we found in this case are all too common in this industry.” In addition to the $2 million in back wages and damages, the company will also pay $133,470 in civil money penalties to the department and take enhanced corrective action to prevent future violations. “The U.S. Department of Labor won’t hesitate to take appropriate legal action to ensure that employees are properly compensated for their hours of work. When they are underpaid, it is not just these vulnerable workers who are hurt. The underpayments also undercut those employers who obey the law and pay their workers correctly,” according to a representative for the Department of Labor in New York. In addition to the payment of the back wages and liquidated damage, the consent judgment, filed with the U.S. District Court for the Eastern District of New York and approved on Dec. 5, 2016, by Judge William F. Kuntz, requires the defendants to: • Retain an FLSA knowledgeable third-party independent examiner to perform quarterly audits of the facilities’ FLSA compliance and prepare written compliance status reports and submit them to the Wage and Hour Division upon request. • Implement an automated timekeeping system and management controls to ensure that employees are paid for all hours worked. • Upon request, provide employees with a printed statement of the daily hours they worked during the preceding two-week period. • Provide current and new employees with information on their FLSA rights, including posting notice of the settlement of this lawsuit at each facility for the period of two years, as well as mailing the notice to former employees. • Train defendants’ administrators and department managers at each facility regarding compliance with the FLSA. The breakdown of the back wages and damages by location: • The Grand at Chittenango, $39,766 to 102 employees. • The Grand at Queens, $1,387,706 to 110 employees. • The Grand at Pawling, $315,137 to 298 employees. 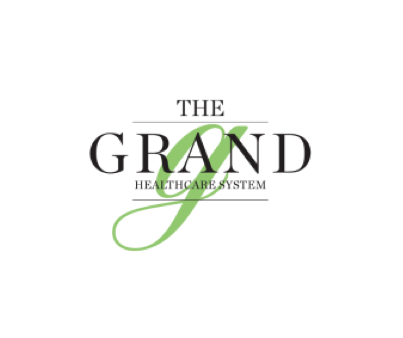 • The Grand at Rome, $243,309 to 291 employees. • Guilderland Center Rehabilitation and Extended Care Facility, $20,876 to 43 employees.